Online ordering menu for NORTH ROSWELL BURRITO. Experience the taste of New Mexico at Burrito Express, where our tortillas are always made-from-scratch and to our salsa is made from the freshest ingredients, just like our Lita used to make it. Whether you grab one of our classic chicken burritos or want to take a walk on the wild side with a Burger Supreme Burrito--made with hamburger, potatoes, beans, cheese and green Chile--you can rest assured that any menu choice will be one full of authentic ingredients and full of New Mexican-American flavor. Trust us, after 30 years of operation, we learned a thing or two about making a burrito. 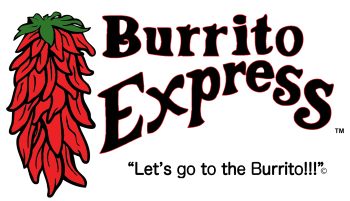 Burrito Express is located on the corner of East College Blvd. and North Grand, just south of the Charlie McVay Memorial Softball Complex and a block east of the New Mexico Military Institute.